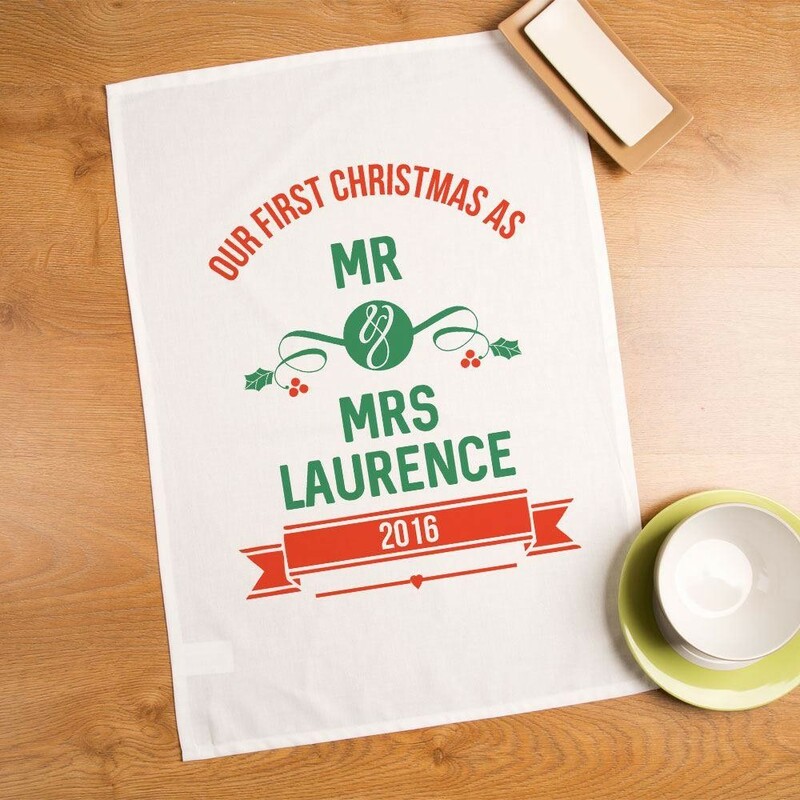 A wonderfully festive tea towel for a happy couple celebrating their first Christmas together! 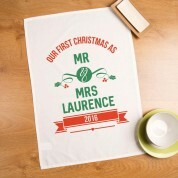 The traditional tea towel features red and green text which reads “Our first Christmas as Mr and Mrs (name)”. It features a stylish holly and ivy design, and is made complete with a small love heart. 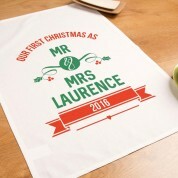 It even includes a date of choice, making it a truly unique gift for the couple. 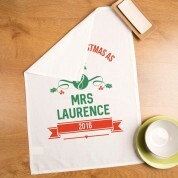 It makes the perfect little stocking filler for a loved up couple, and will really stand out in their love nest! They will love to show it off when preparing their first Christmas dinner together.